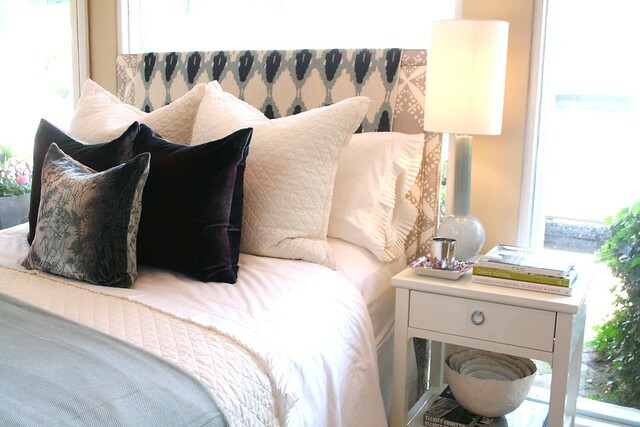 Today I'm over at Amber's blog posting about one bed with two looks. Check it out!! this looks so comfortable! love it bryn! I will head over, how lovely Bryn! Come and join my Giveaway from the Novica Artisans! Both are beautiful, but I'm loving that second look!! Wow, what simple but remarkable change. Pretty! Love those narrow lamps. Love the beds, they both look comfortable and pretty! New follower, great blog by the way!